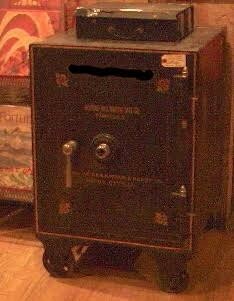 This is a genuine Old West 19th Century Safe with clear gold lettering markings IA. 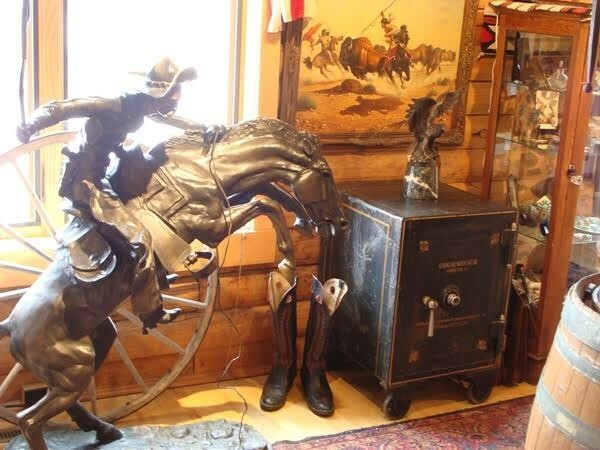 It measures approximately 20” inches X 23” inches X 31” inches high on Wheels. 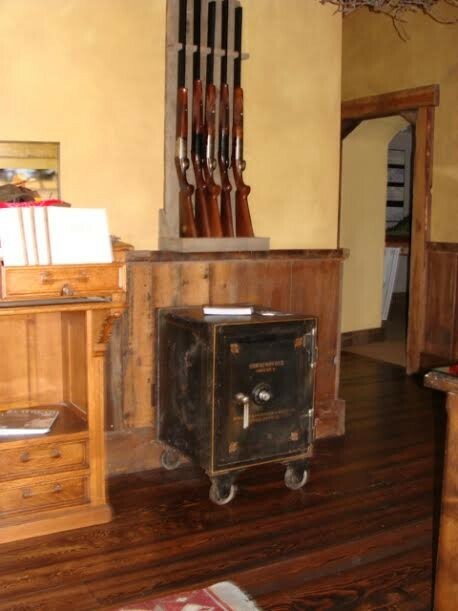 that are inside, if that be the case? are included with the purchase at know additional charge. 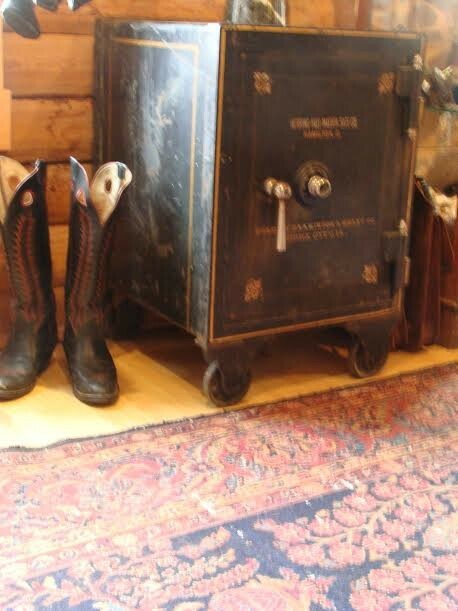 This is a genuine Old West 19th Century Safe with clear gold lettering markings IA. 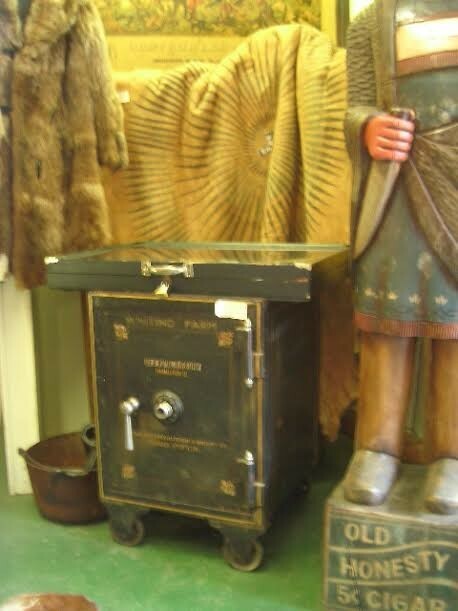 It measures approximately 20” inches X 23” inches X 31” inches high on Wheels. We do not have the combination...and we have never opened it...therefore, all the gold bars that are inside, if that be the case? are included with the purchase at know additional charge. Please email cowboycabin@centurytel.net with questions or call 406 270-2842.